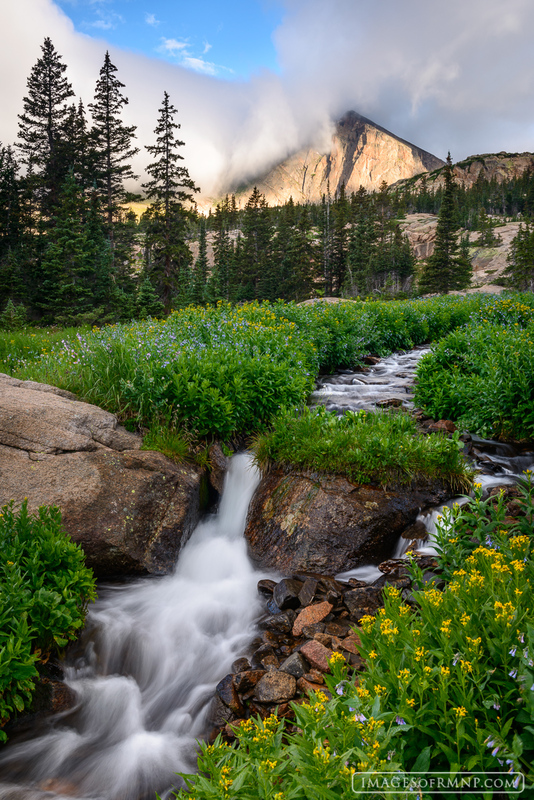 Mount Alice is surrounded by storm clouds while down below a stream wanders through a meadow of wildflowers. In the background birds are singing and a sweetly scented wind is gently blowing, adding to this beautiful summer morning. Photo © copyright by Erik Stensland.